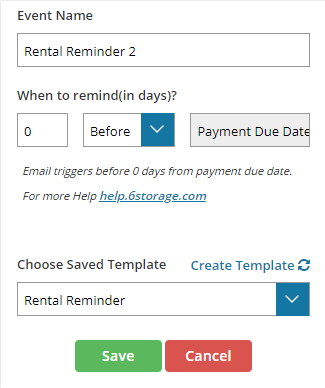 How to set a rent reminder? Step 2 : You should be redirected to a page with a button “Add Event” that allows you to create an event, simply click on it to proceed in creating one. Step 3 : Now you’d find a tab that appears with a lot of fields to create a unique event based on your needs. Keep in mind that you’d be able to create limitless events for all your reminders. 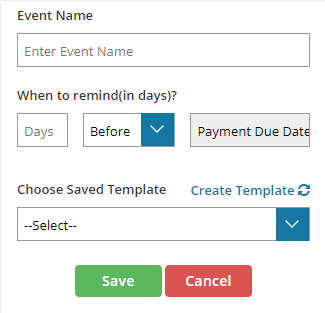 Step 4a : Here’s an example to set up an event that triggers an email template of your choice to remind tenants of their upcoming Invoice. 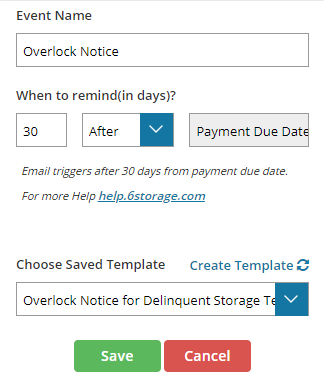 Step 4b : Here’s another example to set up an event that triggers an email template of your choice to remind tenants of their Payment on the Due Date. 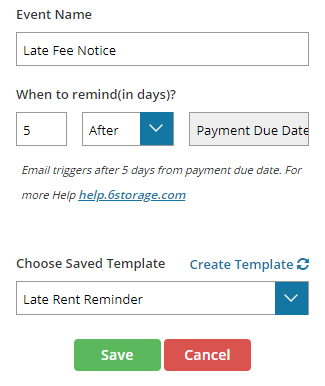 Step 4c : We’ve got another one to help you set up an event that triggers an email template of your choice to remind tenants that their late and also got charged with a late fee. Step 4d : Finally a last example to help you set up an event that triggers an email template of your choice to remind tenants that their locked-out of their units. Step 5 : After having created the events, The grid beside shall populate all of them with the options to Edit/Delete and Preview the Event. Step 6 : If you’re ever wondering on how this event is gonna work or who It would send out the email to and when, simply hit on “Preview” from the event of your choice. You’d then be redirected to its report that gives you all the info you’d need to make sure the event works properly as scheduled.